Stocks in Nigeria resumed trading for this week on Monday sluggish, going down by 0.47 percent on a day the volume of shares traded by investors closed higher. Business Post correspondent reports that the market breadth closed lower with Nigerian Breweries topping the 20 other losers in contrast to 8 gainers led by Total Plc. The major market indicators pointed southward, with the leading All-Share Index (ASI) depreciating by 120.15 points to close at 25,626.37 points and the market capitalisation declining by N42 billion to end at N8.87 trillion with the YTD Return finishing at -4.64 percent. 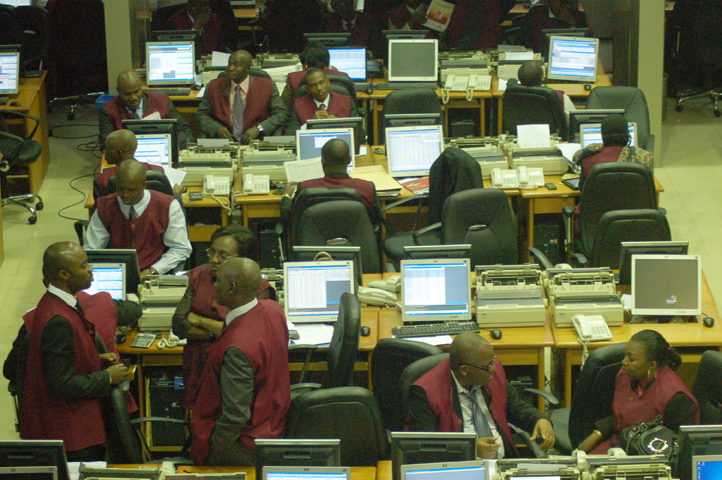 Our correspondent further reports that investors exchanged a total of 191.8 million shares on the floor of the Nigerian Stock Exchange (NSE) on Monday, which were transacted in 2,626 deals worth N584.7 million. This was against the 108 million shares traded last Friday in 2,405 deals valued at N907.7 million. Total Plc gained N10.65k to close at N270 per share, Fidelity Bank went up by 8k to end at 92k per share, while United Capital rose by 7k to finish at N2.95k per share. In the same vein, NAHCO advanced by 4k to close at N2.49k per share and Custodian and Allied Plc advanced by 3k to finish at N3.25k per share. On the flip side, Nigerian Breweries slumped by N2.55k to end at N122.45k per share and Oando dropped 28k to finish at N5.62k per share. Dangote Sugar crashed by 28k to finish at N6.12k per share, Ecobank weakened by 24k to close at N8.21k per share, while UACN declined by 20k to end at N14.80k per share.